For eating October to December. A very distinctive and aromatic, creamy white flesh that is sweet and very juicy The fruits are golden and flushed deep red. A very upright tree, that is easy to manage. 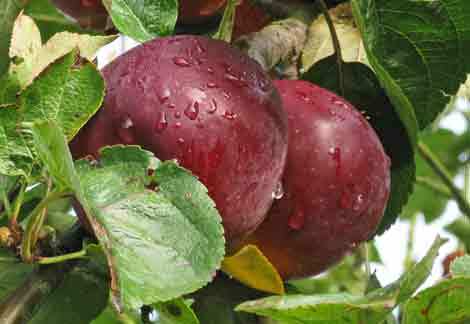 An excellent dessert variety for the garden, made even more popular by the fact that American mothers insisted on this variety for their apple pies for which it excels.Pollinators include: Edward VII, Lane's Prince Albert, Orleans Reinette and Winston.